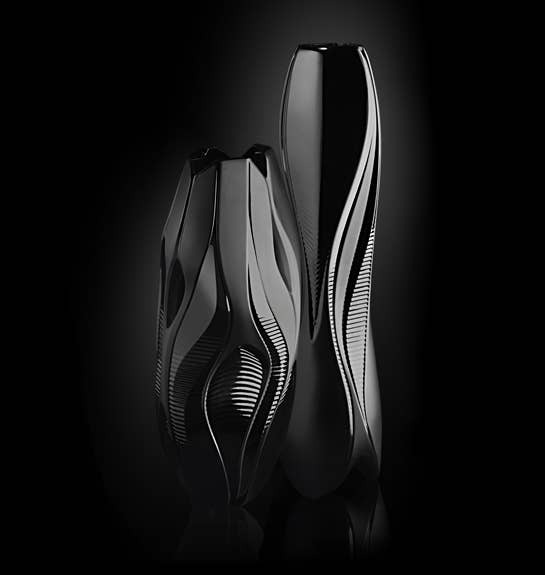 World-renowned architect Zaha Hadid joins LALIQUE in an exploration of fluidity through the stunning transparencies and mysterious depths of the iconic Manifesto & Visio vases. An architect famous for fragmented geometry meets a celebrated French luxury lifestyle brand to capture Nature’s most effervescent and fleeting forms in stunning crystal. At first glance, the collaboration between Pritzker Architecture Prize-Winner Zaha Hadid and legendary French brand LALIQUE may seem surprising. 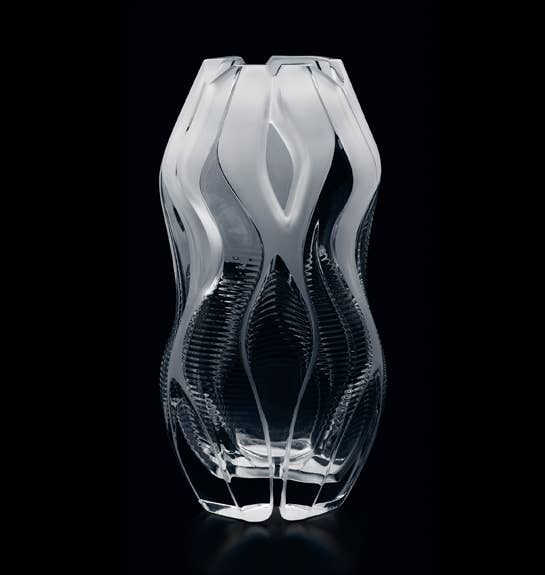 Where Hadid’s work is a contemporary contemplation of nature deconstructed, LALIQUE boasts a 130 year history of capturing nature in all its fluidities - the female form, flowers, and fauna. 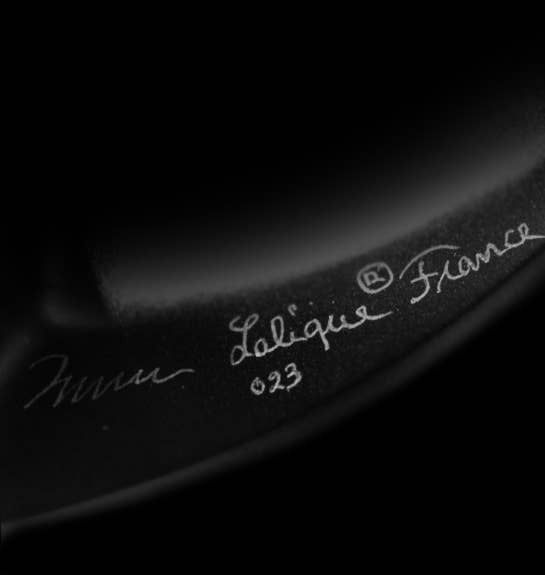 But it is the habit of art to imitate nature, and in the case of Lalique, a custom to preserve it. 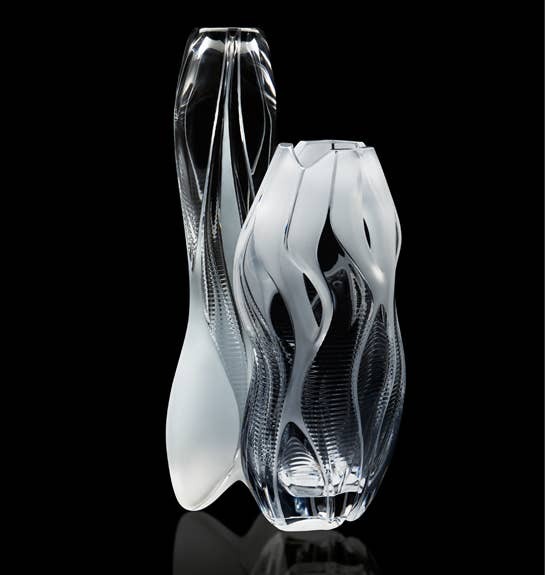 Born through a shared passion for beauty, Lalique presents “Crystal Architecture” by Zaha Hadid – an exploration of still movement through stunning transparencies and mysterious depths with the instantly iconic Manifesto and Visio vases. Paradoxically beautiful, the vases’ gentle curves evoke the limitless fluidity of running water and sweeping currents of air, rendered immobile in a sleek hourglass of Lalique crystal. The result is nothing short of art. 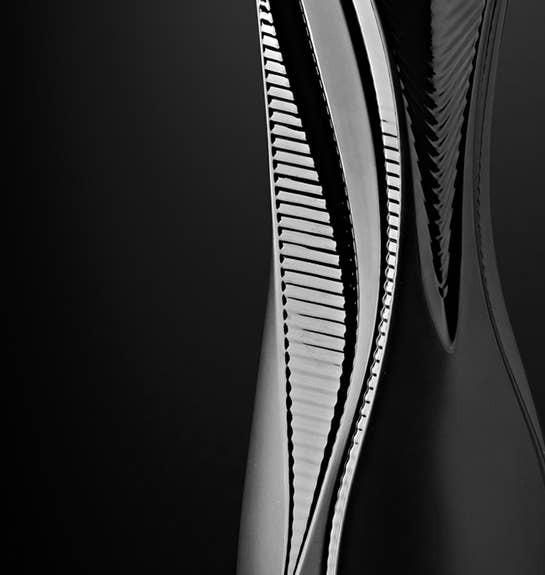 The Manifesto Vase by Zaha Hadid displays innate, fluid lines which seem to have a life of their own. Superbly displayed in crystal, the vase is enhanced by contrasting satin and polished finishes characteristic of LALIQUE. The numbered edition piece is available in either clear crystal - a majestic sculpture of light - or in black, which lends mysterious depth to this work of contemporary art. Like a crystal tower, the Visio vase’s lines ascend heavenward in almost infinite movement. Satin-finished and polished crystal, both emblematic of LALIQUE, perfectly suit this essay in style. Illuminated by the brilliance of the clear crystal or sublimated by the deep mystery of black, this vase, in a numbered edition, is a tour de force. 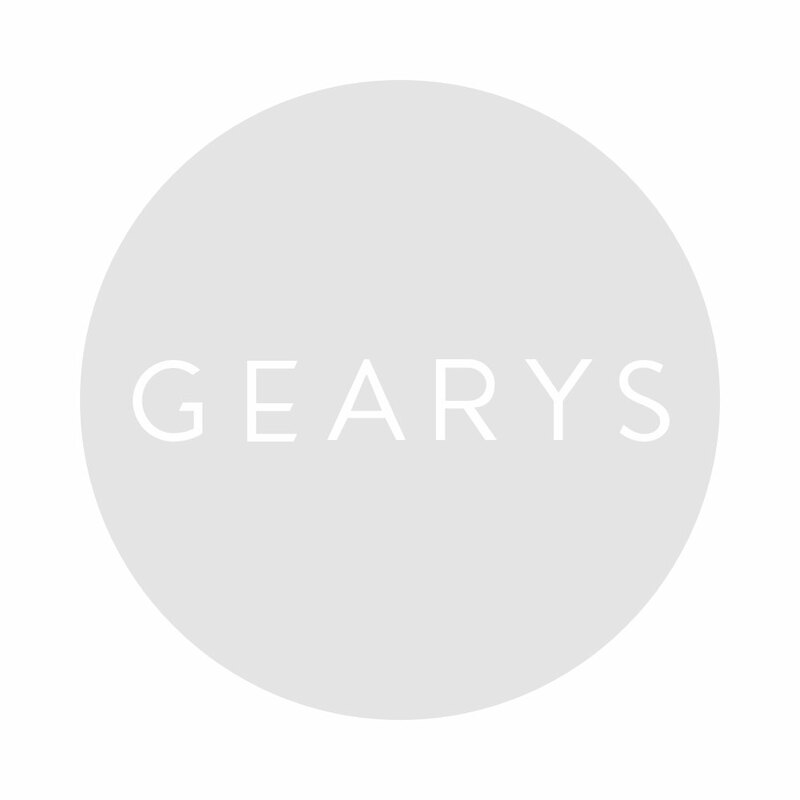 Manifesto in clear crystal and Visio in black are currently available at GEARYS Beverly Hills, signed by architect and designer Zaha Hadid.